The 2012 EFRA Off-Road Championships took place in Fehring, Austria, about 150km south of Vienna, from July 9th to July 14th and featured 120 of the top 1/10 R/C 2WD buggy drivers from around the world. 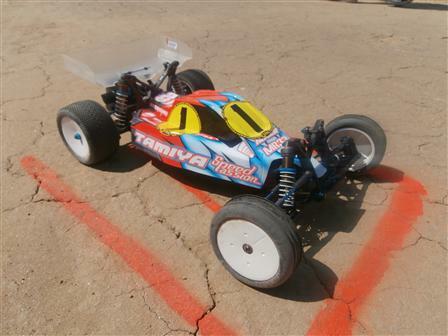 Tamiya Racing Factory (TRF) driver Lee Martin and his TRF201 dominated qualifying, winning all of the rounds to claim the Top Qualifier position. He converted this advantage into wins during the first and third legs of the finals to take his third consecutive EFRA 2WD championship title! This entry was posted in Event Report on July 30, 2012 by admin.